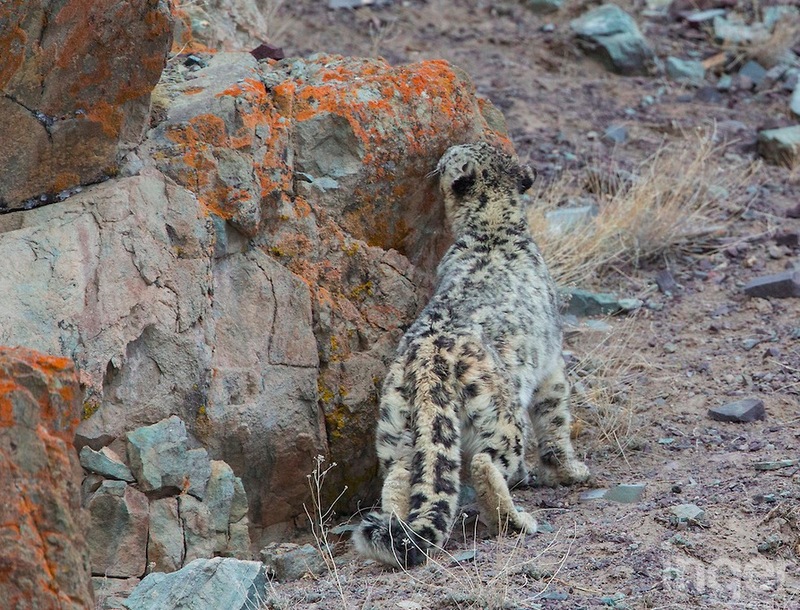 "Ever wondered how hard it is to see a wild snow leopard?" asks photographer Inger Vandyke. The answer? It's very hard. Somewhere in this shot, one of these rare and elusive cats is lurking, just waiting to pounce on the grazing Himalayan blue sheep (also known as bharal) nearby. Can you spot it? Vandyke was lucky enough to take this cryptic photograph, along with the series below, in a remote valley in a sparsely populated region of India called Ladakh. 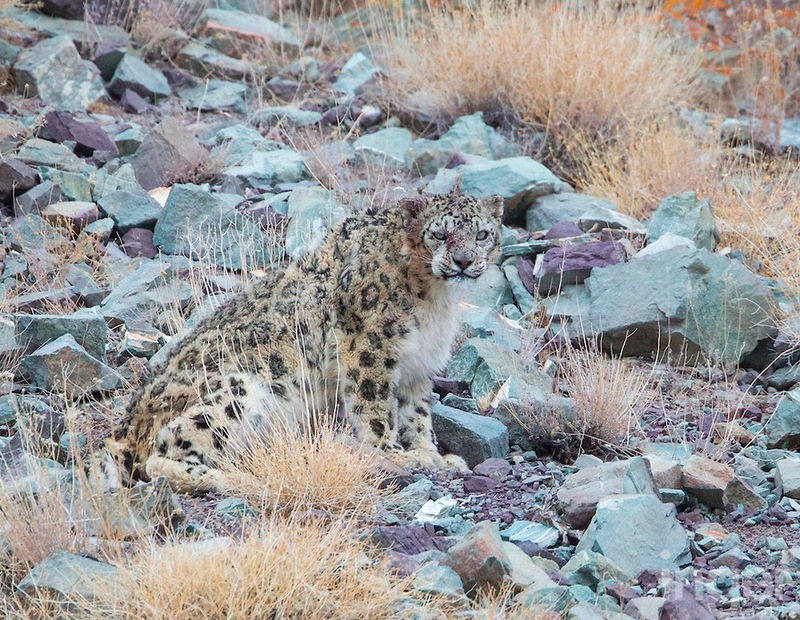 Wedged between two of the world's highest mountain ranges, the area's rugged terrain is perfect leopard territory, which is perhaps why it's sometimes referred to as "the snow leopard capital of the world". "We sat in the ice for six hours watching the cat in the camouflage image," she recounts. 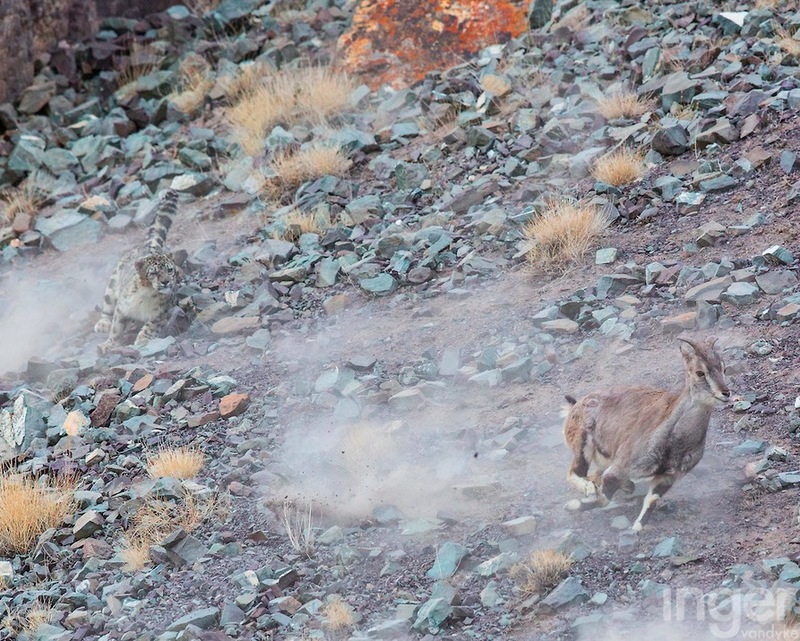 "We first saw him wandering down a valley and trying to catch bharal on the way. When they ran off, he gave up and went to find a ledge to sleep on, [before moving] to a more sheltered spot in a clump of long grass." 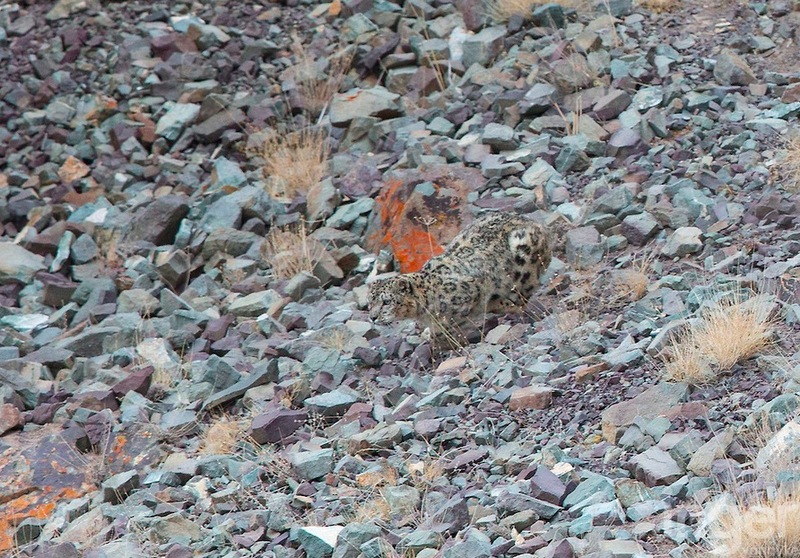 "The leopard sat in [the camouflaged] spot for around three to four minutes while he waited for the bharal to pass him by," recalls Vandyke. "Bharal are normally acutely aware of snow leopards. 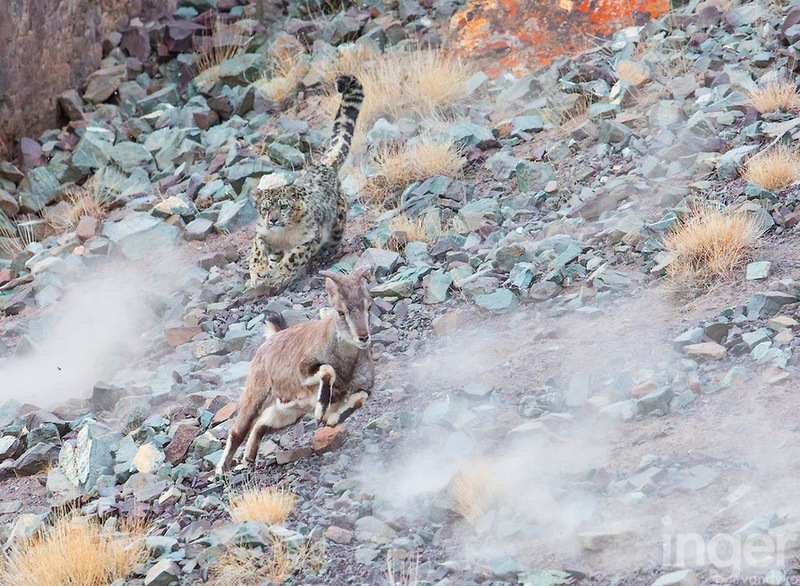 In fact, you're more likely to see a leopard by watching for a reaction from the bharal. But this time, [they] were completely unaware!" Unfortunately, the cat's ambush proved unsuccessful this time. "When he finally decided he might catch one [of the sheep], he burst out of that spot to chase them. The speed at which he moved was unbelievable! Sadly he missed them and was lost in a cloud of dust from where they ran off." A rescue-level SCUBA diver and experienced mountaineer, Vandyke has participated in expedition and adventure travel on every continent. 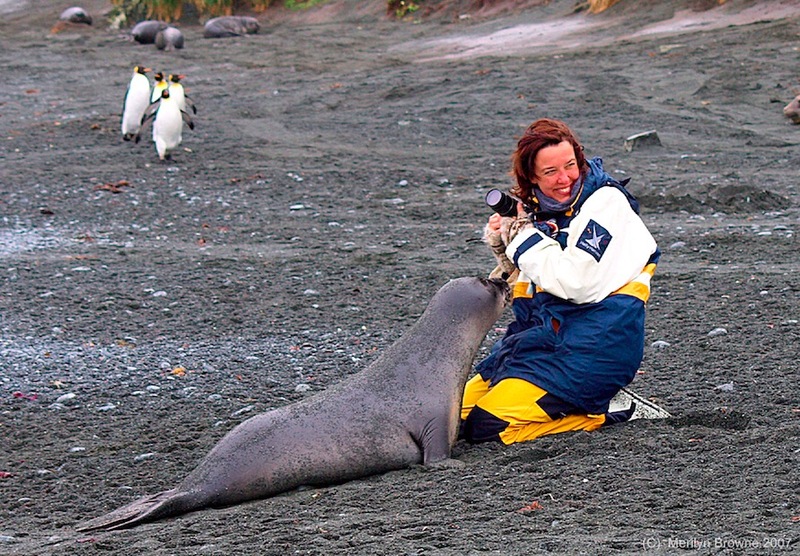 But for her and the crew at Wild Images, these trips are about more than just getting great shots. 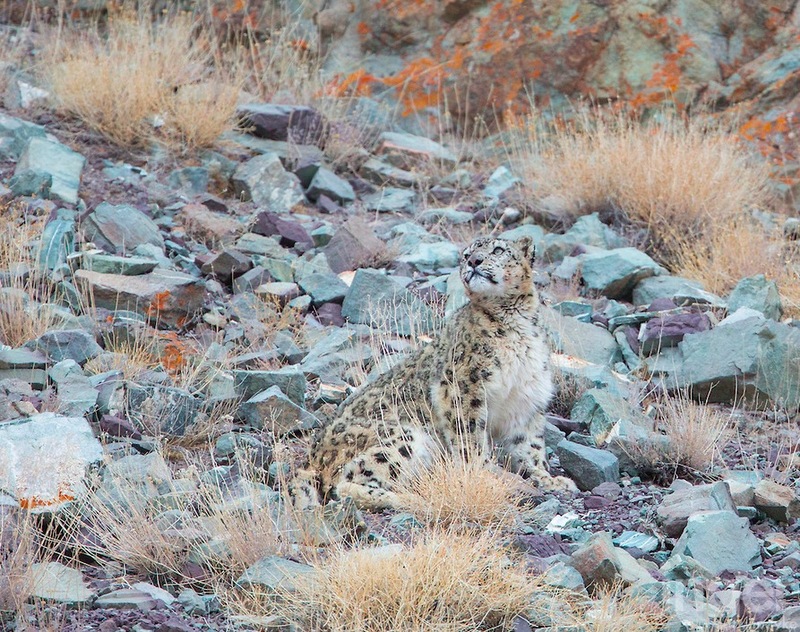 "At Wild Images we have worked closely alongside the Snow Leopard Conservancy," she says. "We've donated a livestock enclosure to their projects and donated field guides to their staff to assist them in identification of the local fauna. We have a relationship with the [local] Ladakhi people working to conserve snow leopards in that region. The images on my website only tell a small part of a much larger story." Listed as endangered by the IUCN, snow leopards (Panthera uncia) face a growing number of threats, and only a few thousand remain in the wild. That means encounters like Vandyke's are becoming increasingly rare. 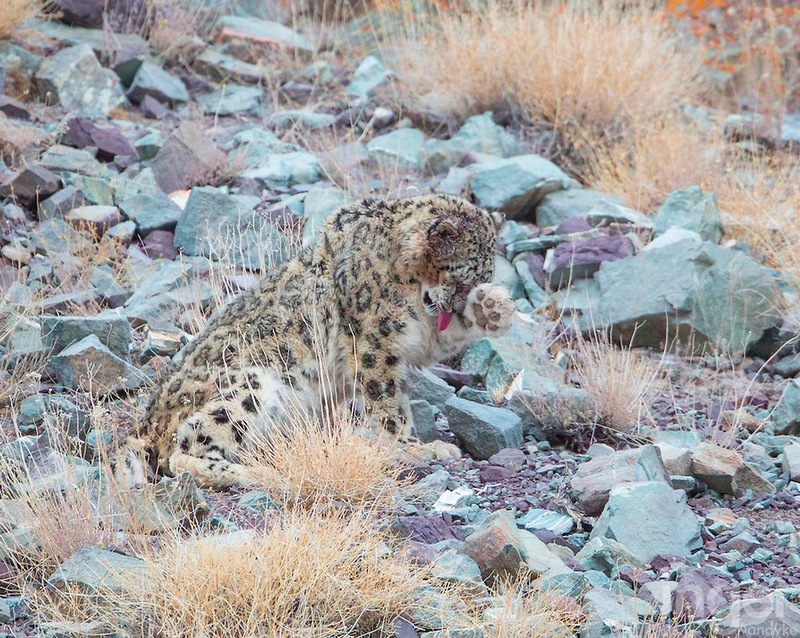 The leopards share Ladakh's cold, mountainous landscapes with only a small number of human inhabitants, but it's enough to pose a problem for the endangered cats. Livestock herding is impinging on their habitat and poachers hunt the leopards for their exquisite fur and body parts, which are highly valued in Asian traditional medicine. Human-wildlife conflict, even within protected areas, is intensifying. "The main conflict comes from snow leopards killing domestic livestock," explains the conservancy. "People want to retaliate by killing the cats." 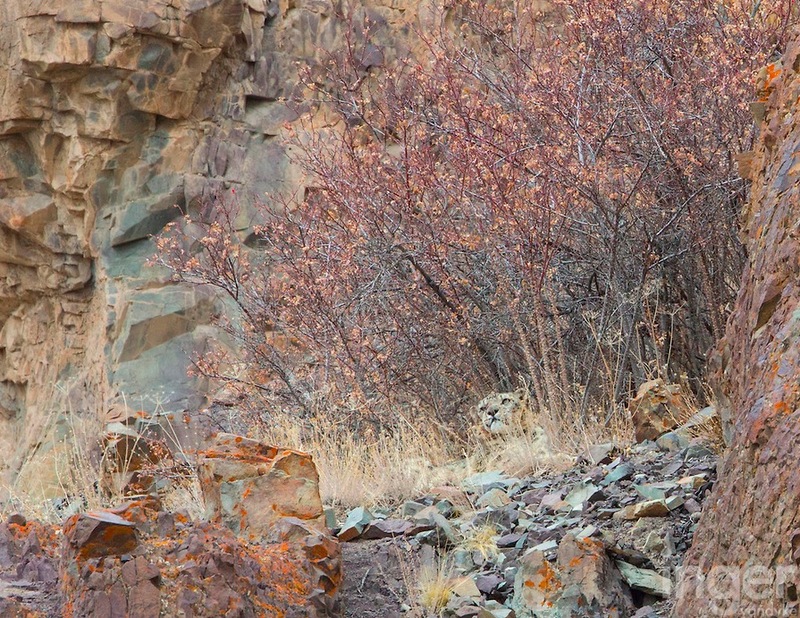 For Vandyke, the experience of photographing these rare and beautiful grey leopards was an extraordinary opportunity – despite all of the waiting in bitterly cold, high-altitude conditions for the cats to make an appearance. "Photographing that hunt was the most riveting and adrenaline-driven shoot I've ever done," she says. "When the leopard finally disappeared from sight, I cried." To find out more about the Snow Leopard Conservancy and how you can help them, visit their website.